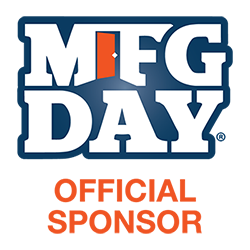 Union County Manufacturing Awareness Week: October 1 - 5, 2018 | Celebrating our 5th Year! Are you looking for a high-tech career in a growing industry? Do you want an opportunity to get paid while you attend college and receive on-the-job training? An apprenticeship may be perfect for you! South Piedmont Community College, in partnership with local manufacturers, offers apprenticeship programs providing hands-on training and career development opportunities with a guaranteed job when you complete your apprenticeship. Through an apprenticeship program, you can attend college and continuing education classes, receive industry certifications, and begin your career in specialized fields such as industrial maintenance mechanic, welding, machinist, and more. Your training is paid for – and you earn while you learn! 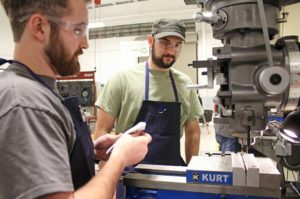 Meaning NO college debt while starting a highly-paid career path in manufacturing! A full-time employment opportunity that consist of a dual training system for individuals to develop specific skills for positions at Greiner Bio One. GBO Apprentice Program is an 8,000-hour program registered with ApprenticeshipNC. Apprentices are full time employees during the program and have salary increases on a progressive scale every 1,000-hour completed. Full time employment includes all employment benefits that an employee of Greiner would receive. 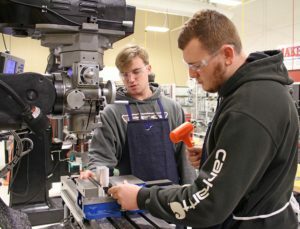 The dual training system allows for each apprentice to train on the job for valuable work experience and attend South Piedmont Community College for an Associate’s Degree fully sponsored by Greiner. Greiner Bio-One currently has four programs registered with ApprenticeshipNC. Training to become a Process Technician in the injection molding production departments, responsible to produce quality parts from an injection molding machine. Training to become a Mold Technician in the injection molding production departments, responsible for repair and maintenance of injection molding mold. Training to become a Quality Technician, responsible for the learning and applying of procedures to ensure products released into market meets all standards. Pre-apprenticeship program offers an opportunity for students to learn basic technical and job-readiness skills for a designated apprenticeable occupation or occupational sector, to prepare participants for Registered Apprenticeship training. The Pre-Apprenticeship program is coordinated by Union County Public Schools, South Piedmont Community College and local industry. 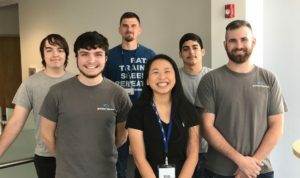 Students attend classes at their high school during half of the day, then split the remaining day at South Piedmont Community College and an industry partner where students are exposure to the work environment for the targeted occupation(s). The model for pre-apprenticeship training varies depending on the targeted group recruited for training. Successful applicants may have the opportunity to become Registered Apprentices once completing the program. Pre-Apprentice participants will be expected to conform to the Apprentice standards and policies adopted by the Apprenticeship program. To learn more about Pre-apprenticeship opportunities contact the Career Development Coordinator at your school.